This 6-Pin plug is suitable for using with Nissan 300ZX Z32 air flow meters. This plug comes pre-wired with open leads approx 200mm long. 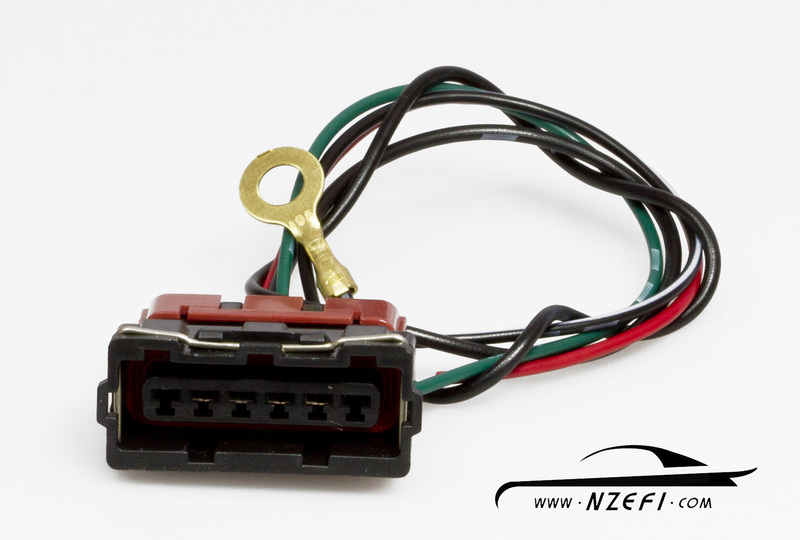 If you have a Z32 AFM to upgrade your existing air flow meter on your RB20DET, RB25DET, RB26DET, SR20DET, CA18DET or wish to replace a damaged plug on your 300ZX, then this plug will be needed.